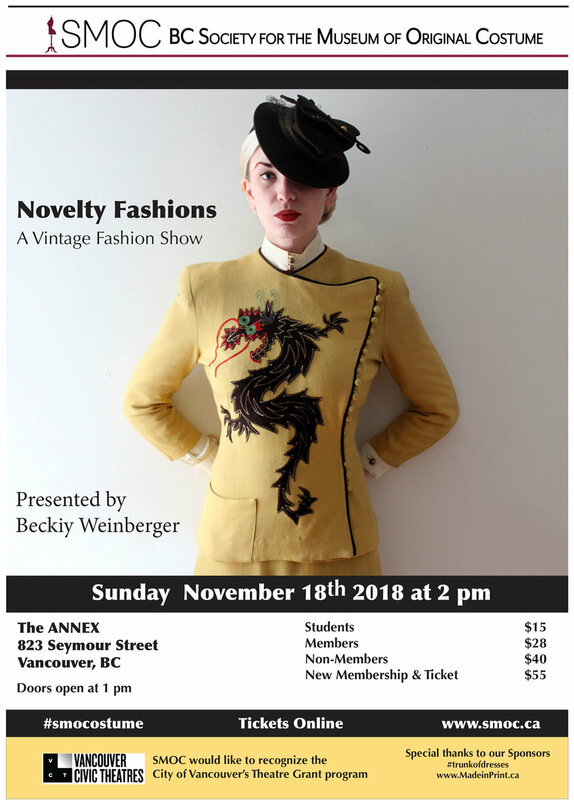 Novelty Fashions - A Vintage Fashion Show. SMOC presents a fashion show by one of our younger collectors and well-loved SMOC models, Beckiy Weinberger. Thanks to the Vancouver City Theatre grants we will be doing a show at The Annex Theatre at 823 Seymour Street on the 2nd floor. Student Membership and Ticket - ON SALE NOW! SMOC would like to recognize the City of Vancouver’s Theatre Grant program. 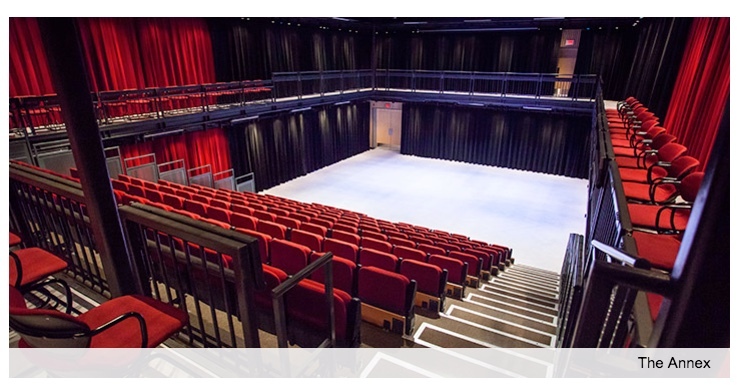 Theatre Rental Grants are non-cash grants that provide a partial subsidy towards theatre rental costs and technical costs for cultural non-profit organizations’ use of the City’s four Civic Theatres.